the problem with asking this question on a spyderco forum is that no one will tell you you should just get a mora. once you start realizing specific knives are best for specific tasks (and you are slightly obsessive), it's hard not to carry multiple knives on you. i sometimes have three on me (not including any in a backpack) and i just have to shake my head at myself. i still find a way to justify it though. does pakkawood look better in person than in pictures, because i don’t think it’s attractive at all based on the pictures. i’d rather see a nicer looking wood like ebony or maybe some bone scales or something. if you want to go classy, really go classy. based on pictures, i thought i’d like the xl better, but once i got them both in hand, it quickly became apparent that the manix is the perfect knife (for me) as far as shape and ergonomics. the xl is just extra knife and handle that i don’t need even though i can appreciate it for what it is. i’d buy that. i might like the sheepsfoot shaved down just a hair, but i like it. Topic: Poll: Preferred steel choice(s) for a Manix 2 XL Sprint or Exclusive? 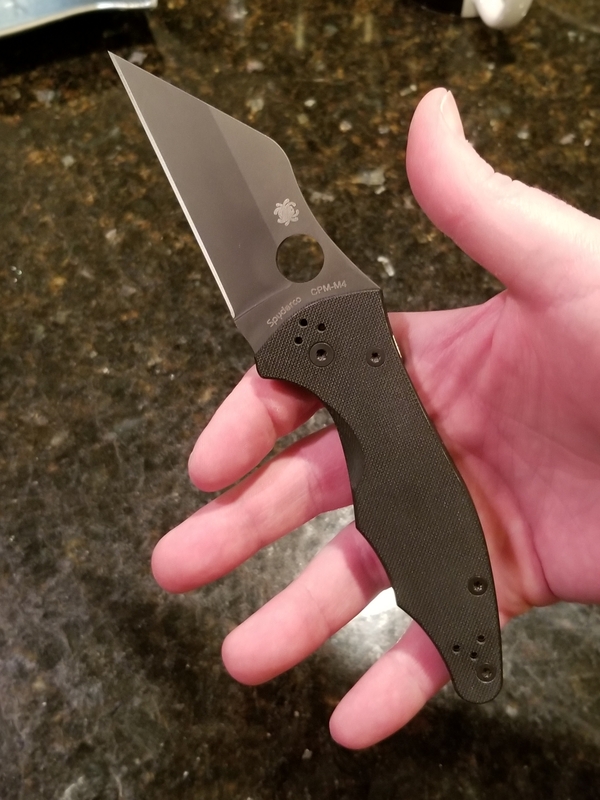 Re: Poll: Preferred steel choice(s) for a Manix 2 XL Sprint or Exclusive? i would vote for lc200n today, but it's not an option in the poll.